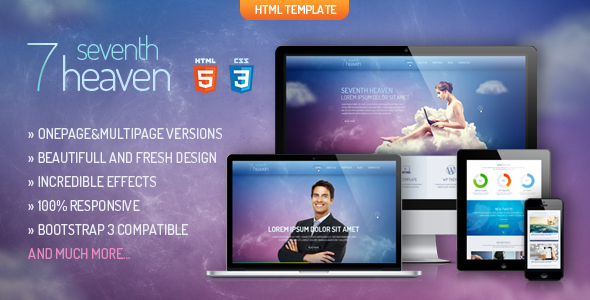 Seventh Heaven combines beautiful and unique into one great template suitable for Corporate website, Portfolio, Blog or even Personal website. This theme can be used as OnePage template or Multipage site. Item Reviewed: Heaven - Onepage or Multipage Creative Template 9 out of 10 based on 10 ratings. 9 user reviews.